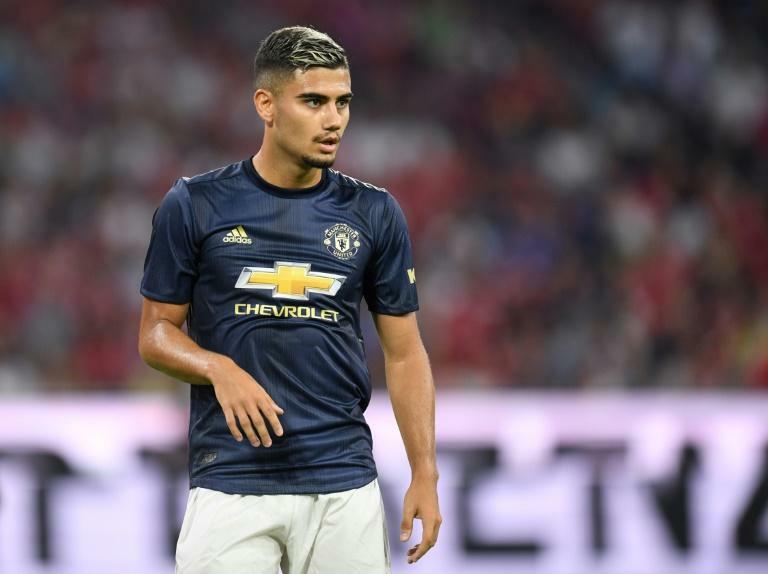 Just a week after making his first Premier League start for Manchester United, Andreas Pereira received a surprise first call-up to Tite's Brazil squad ahead of two friendlies next month. The Belgian-born 22-year-old midfielder was amongst a host of new, young, uncapped faces in Brazil's first post-World Cup squad, including Barcelona midfielder Arthur, also 22. Pereira, whose father was a Brazilian footballer who spent most of his career in Belgium, represented both Belgium and Brazil at youth level. Flamengo pair Hugo, 19, and Lucas Paqueta, 20, Fluminense's 21-year-old Pedro and Gremio winger Everton, 22, were also included but there was no place for Manchester City striker Gabriel Jesus, 21, in the 24-man squad. Paris Saint-Germain star Neymar is included but Real Madrid veteran Marcelo was left out for the games against the United States and El Salvador, both in the US. Tite said those left out were still "important but right now we're giving opportunities to the new generation of talent". "The priority is to give opportunities while maintaining the team's foundation and preparing for next year's Copa America." Brazil host the 2019 edition of the South American championship having failed to get beyond the quarter-finals in the last three editions since defending the title in 2007. His biggest surprise was the inclusion of goalkeeper Hugo, alongside new Liverpool signing Alisson, explaining that Manchester City's Ederson had been excused for "personal reasons". Forward Pedro, midfielder Lucas Paqueta and Everton's call-ups all came following domestic clamour for them to be given a chance. Goalkeepers: Alisson (Liverpool/ENG), Hugo (Flamengo), Neto (Valencia/ESP). Defenders: Fagner (Corinthians), Fabinho (Liverpool/ENG), Alex Sandro (Juventus/ITA), Filipe Luis (Atletico Madrid/ESP), Dede (Cruzeiro), Felipe (Porto/POR), Marquinhos (Paris SG/FRA), Thiago Silva (Paris SG/FRA). Midfielders: Casemiro (Real Madrid/ESP), Fred (Manchester United/ENG), Arthur (Barcelona/ESP), Andreas Pereira (Manchester United/ENG), Lucas Paqueta (Flamengo), Philippe Coutinho (Barcelona/ESP), Renato Augusto (Beijing Guoan/CHN). Forwards: Neymar (Paris SG/FRA), Roberto Firmino (Liverpool/ENG), Pedro (Fluminense), Willian (Chelsea/ENG), Douglas Costa (Juventus/ITA), Everton (Gremio).